Thanks to the reception of Hisame’s fantastic Four Days in April article, as well as a good level of interest in All Japan, we had yet another decision get decided thanks to reader interaction. Naomichi Marufuji vs Jun Akiyama, the match of betrayal and resentment, managed to edge out the competition last week. So let’s look at the April matches that we get to vote on also. So we see two Champion Carnival matches made it into the April pool, which shows nice growth in interest and a potential fanbase for All Japan, as they try and rebuild. Because of the years of build up, and the pure passion you could feel resonate off of every move, Marufuji vs Akiyama gets my vote for the month. It’s not every day, you get to see a match with so much historical significance, in a wrestling ring. The stipulation got added, thanks to Nakamura’s propensity to hit low blows. This was the best match they’ve had to date in WWE, but sadly the ending wasn’t fantastic. We saw a lot of nice back and forth on top of both men playing their characters very well. 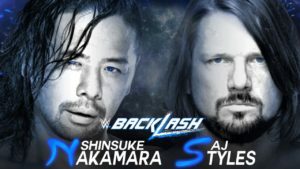 AJ got slowly frustrated and Shinsuke had his old fun flavor with the stiff cruelty of his Japanese days. Sadly, I have to give Corey credit for being right, when he talked about this heel version of Shinsuke, being what we all knew and loved. A big highlight spot was Styles throwing the chair into Shinsuke’s knee and having it ricochet off of his face. Then that got followed up with Nakamura placing the chair nicely to hit his Reverse Power Slam onto the chair. Sufficed to say, this match was building beautifully, we finally got both guys hitting low blows which helped to validate the NoDQ stipulation…and then…the ending happened. WHY, WHY is it another no contest? Stipulation like this are supposed to indicate a blow off, not drawing things out to pop a rating on SmackDown or milk it for another PPV. 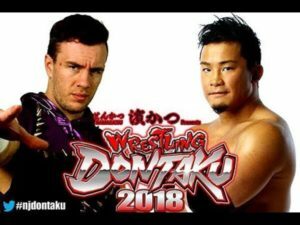 Will Ospreay was on this quest for validation since he wanted to beat each man from the Wrestle Kingdom Four Way, individually. We all know Ospreay had a big neck injury after his match with Marty Scurll at Sakura Genesis, and yet he still unveils his Stormbreaker move in the tag team match before this event, and ya, made no sense. So we move to the match itself, where even though both men apparently have bad necks, Kushida focuses on the arm since the Hoverboard Lock is all that makes sense to him I suppose. The match had a lot of big spots, but awkward movement between them. Ospreay also sold his arm for a portion of the match, but still pulled off the super human shtick to land a multitude of high flying moves. Plus with Ospreay winning via his newly unveiled Stormbreaker maneuver, it just felt forced. Long and short, not their best work, and a lot of spots that were done purely for flash and not because they made sense or helped the match. Still a good match, but they both have done significantly better in previous matches. So the opening matches lately have been extremely solid, and this one was no exception. 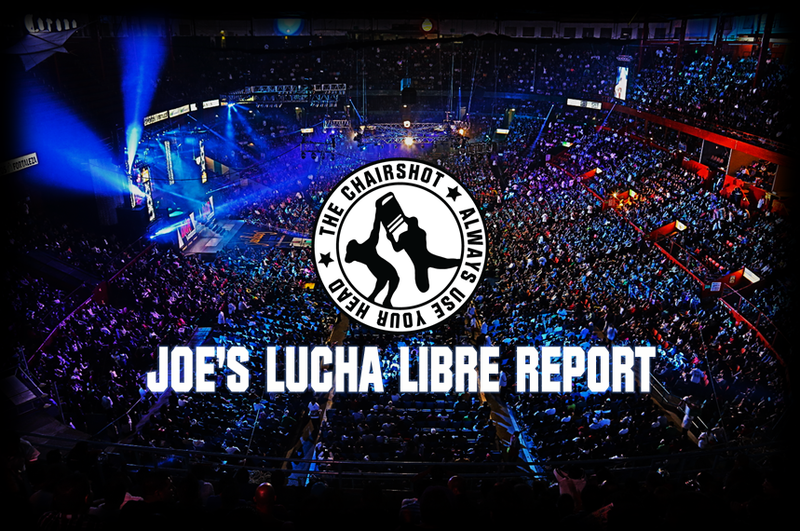 It starts off a little slow, but picks up with some nice big spots, a big miss on the Ripcord Knee on the apron, and Seth Rollins kicking out of two Skull Crushing Finales. Since WrestleMania, The Miz has proven he can put on some pretty fantastic matches without needing outside interference. Yes, he hasn’t been able to manage a victory, but they could be building something. Not really sure how the Intercontinental scene shakes out after this match, but my guess would be Finn Balor breaking out the Demon…since they haven’t really put much effort into anyone else yet. There’s been a common thread in the marquee matches in Japan, with involving a good amount of history. This match showed a lot of call backs, a lot of both men knowing the others moves and of course, being a nice bookend to the rivalry. Okada approached Tanahashi as someone who was too hurt and broken to be a real threat, in the same vein that Tanahashi didn’t see a young returning Okada as a threat back in 2012. The match wasn’t flashy, and there weren’t a ton of surprising moments, but you could see the years of familiarity in the pacing and sequencing of moves. Ring psychology, the crowd being completely into the match and Okada showing more of his arrogance, just kept adding layers to both characters and the storyline. 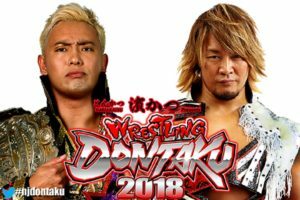 Honestly, the most surprising aspect to this match was that it took only 1 Rainmaker to finish Tanahashi, when a few years ago, he was the first man to kick out of one. With all the emotion and history that went into Marufuji’s match with Akiyama, one had to wonder, exactly what he had left in the tank. Marufuji came out with a little extra pop in his step, and you could see he wanted this. Highlights of the match being a big Springboard Curb Stomp, the Crescent Kick around the post, Piledriver on the apron as well as a collision of knees, Marufuji’s Bicycle Knee met Kent’s Blackout and both men went down for a few moments. Both men kicked out of the other’s signature moves, so Marufuji decided to bring out the homage to his friend, his trainer, nearly an adoptive father to him, Misawa’s Flowsion. After landing the Flowsion, Marufuji picks up the pinfall and the NOAH banner waves in victory at AJPW Champion Carnival. 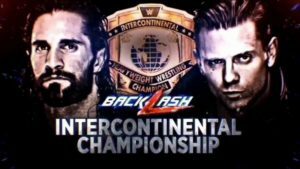 So we see that Backlash has brought a decent amount of matches to compete with the other larger events. My personal vote will go with what I ranked number 1 since I was covering the entire Carnival so I got to see the build, and of course know some of the back story. 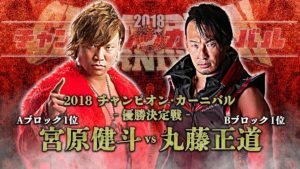 I don’t expect people who go into that match cold to see it the same way, I’m just stating why I’m going with, Naomichi Marufuji vs Kento Miyahara. We’ve got two votes this article, and the last few weeks continue to prove that your opinion matters. So comment, email, tweet or scream. Just make sure to say your piece and Always Use Your Head.